Unlike the blue colourway of the Chinese Toile wallpaper design, the 100/8039 is a minimal duo coloured beige and cream design with a variety of shades. The sea/ background of the print consists of a light cream shade whilst the motifs consist of light and dark beiges that have been outlined with a fine, light brown line. 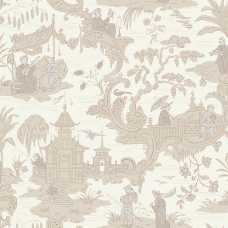 The Chinese Toile was a popular wallpaper design in the Victorian times that features pastoral vignettes of far eastern documentation of life in a variety of different coloured hues. 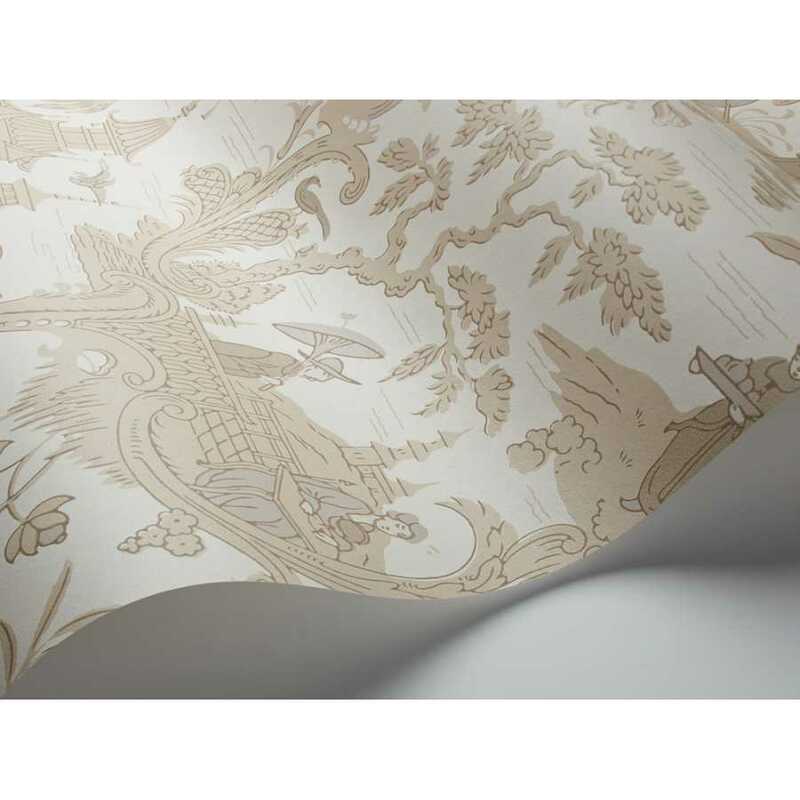 This warm beige and cream detailed luxury wallpaper is a bold statement design that will captivate your guests/ passer byers whilst also providing a simple blue that can be easily matched due to its singular colour and multiple tones. The Cole and Son Archive Anthology brings together a selection of Cole & Son’s most popular and well-known classic wallpapers, whilst also introducing several designs from their extensive archives. 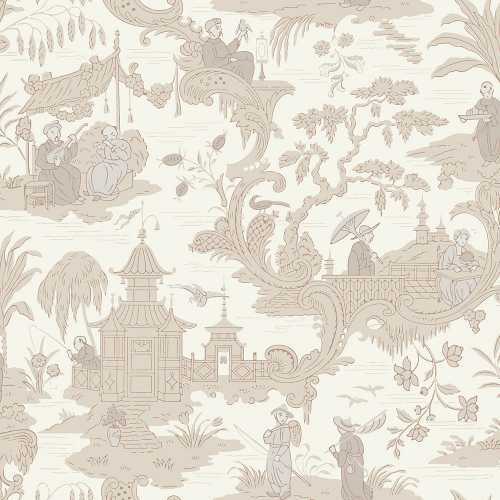 The Chinese Toile wallpaper design is one of the iconic Cole and Son wallpapers that has been revived with a selection of four new and eye-catching colours.